Stress during pregnancy is inevitable, especially if you're a first time mom, and I had my fair share of it. With so many life changes hitting me all at once (like moving to another state, selling our home, quitting my job, and having a baby for the first time), I was having a hard time handling the transitions. 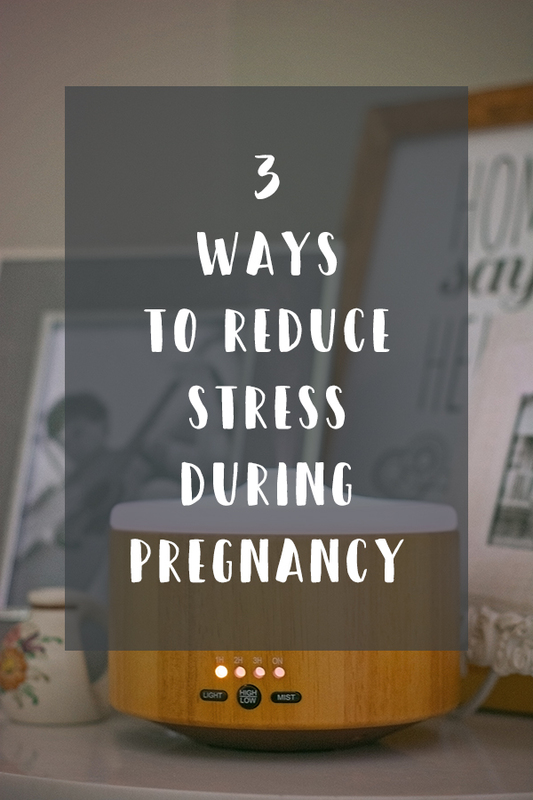 More than ever, I needed to figure out how to reduce stress during my pregnancy not only for my own sanity, but for the health and well being of our baby. When I was pregnant, I ended up developing a mood disorder that remained with me six months postpartum and was officially diagnosed as Postpartum Depression and Anxiety. During my pregnancy, it manifested itself in severe anxiety that often left me struggling to sleep at night, not knowing when the next panic attack would show up. When I would share that I was struggling with anxiety, a few people said it was normal during pregnancy, that hormones are just all over the place, but Matt and I knew that something was off. I know for some, they just wanted to help me feel better about what I was going through, but often, I left the conversations feeling misunderstood. In the end, it was my concern for my baby that put me in front of a therapist. I wanted her to have a healthy mother. The therapist helped me give myself permission to relax. We looked at what was causing me severe anxiety and she helped give me the tools I needed to handle it in healthier ways. One of the areas of anxiety for me was being overwhelmed with the amount of tasks and chores I felt I needed to be doing, so one of the tools my therapist helped me with was to limit my daily to-do list to three essential things where one of those essentials needed to involve some kind of self care. 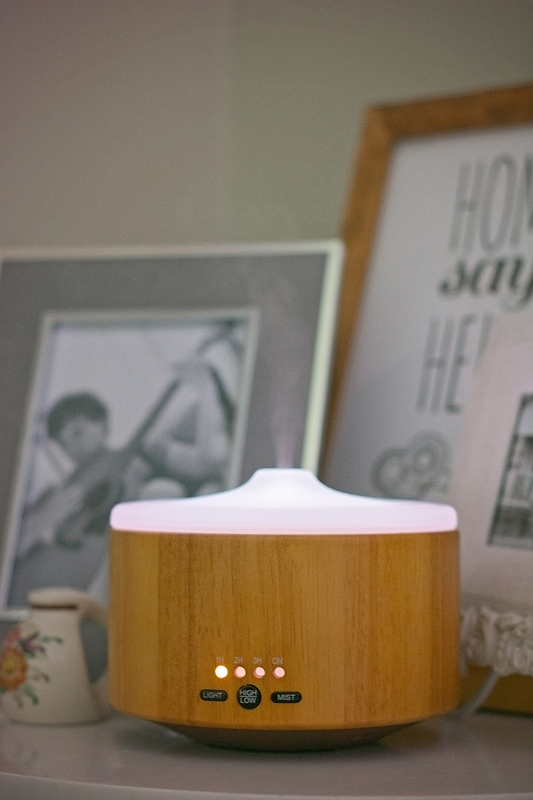 I would also add some lavender essential oil to my diffuser during the day and have it on while I completed my tasks to help me stay calm and relaxed. 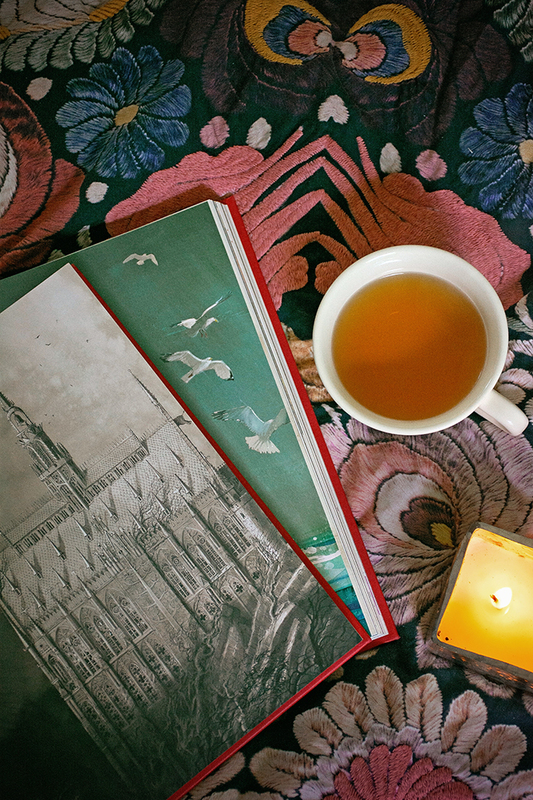 Tip: If you have a scent that you associate with happy memories, find a way to have it near you throughout your day whether you wear the scent or burn a scented candle. For me, my cousin gifted me a lavender scented moisturizer that I also used on my honeymoon. Ever since, lavender has been my signature scent that transports me to a joyful and peaceful time. 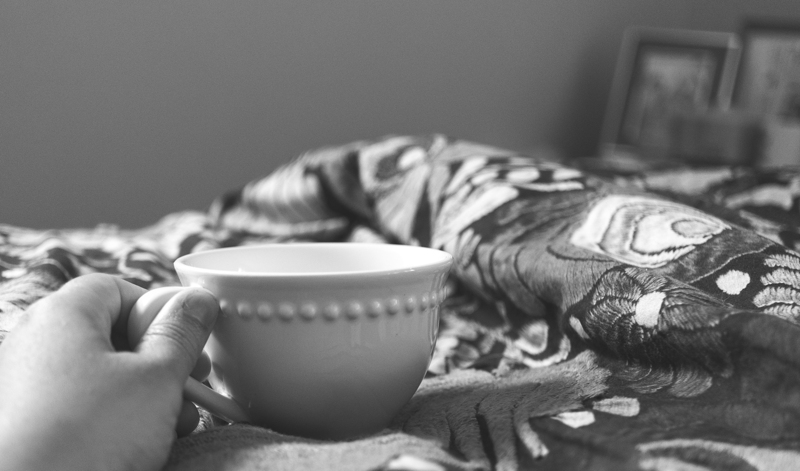 Apart from anxiety, the natural discomforts of being in the third trimester can wreak havoc on your sleep, so I did a few things each evening to help relax me and ensure I would get some rest. Per my midwife's recommendation, I took melatonin and Matt would make me some sleepy time tea. Please consult your doctor or midwife before taking any kind of over the counter medication or supplements during pregnancy, including herbal teas to be sure that they are a good and healthy fit for your body and baby! Matt and I have always enjoyed reading a book out loud together. We picked Harry Potter because I knew the story and associated it with happiness. It was also fun thinking about Anna listening to one of my favorite childhood stories in the womb. I am happy to say I can look back on our evenings fondly. I loved sitting propped up in bed with a steamy cup of tea, reading out loud to Matt and baby before turning out the lights. I only read one pregnancy/parenting book and one blog during my pregnancy. With all the information out there that often contradicts one another, it was easily starting to eat away at me, fueling me with fears and concerns that I didn't need to be obsessing over. 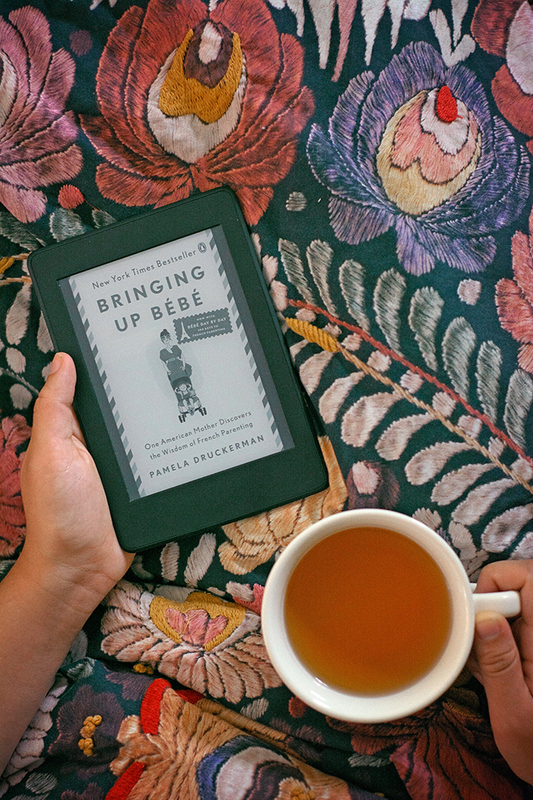 I read the book, Bringing Up Bebe, and loved the blog, CanDo Kiddo which in the long run helped us save money by committing to skipping out on "baby holding devices" as much as possible. These things didn't "cure" my depression and anxiety, but they significantly helped me cope towards the end of my pregnancy and the last couple of weeks of my third trimester were a really beautiful time in which Matt and I were able to carve out so much meaningful and quality time together - a wonderful respite after the toll perinatal depression and anxiety took on me, and a fond memory in the midst of what was to come: postpartum depression. What specific things did you do to reduce stress during pregnancy? Leave your tips in the comments below for other expecting mamas!